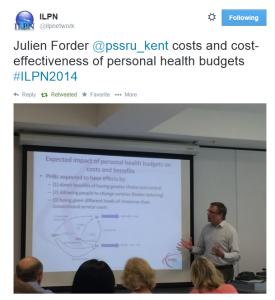 We presented our findings on the evaluation of personal health budgets at the recent International Conference on Evidence-based Policy in Long Term Care 2014 held at LSE. 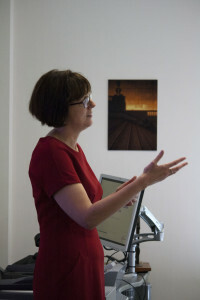 Here we draw this information together and offer the opportunity to view each of our presentations. Personal health budgets continue to be in the news, with 1 October 2014 marking the day from which everyone subject to NHS Continuing Health Care will have a right to one. 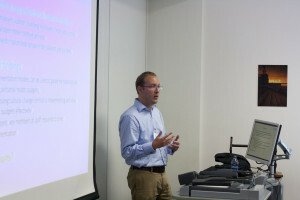 James Caiels began by setting the scene on the implementation of personal health budgets. He provided an overview of the development of personal health budgets, information on the design of our research study, as well as the initial findings from interviews with organisational representatives and the implementation models developed for analysis. Karen Jones followed up with a presentation on the impact of personal health budgets on quality of life and well-being, focusing particularly on outcomes for patients. 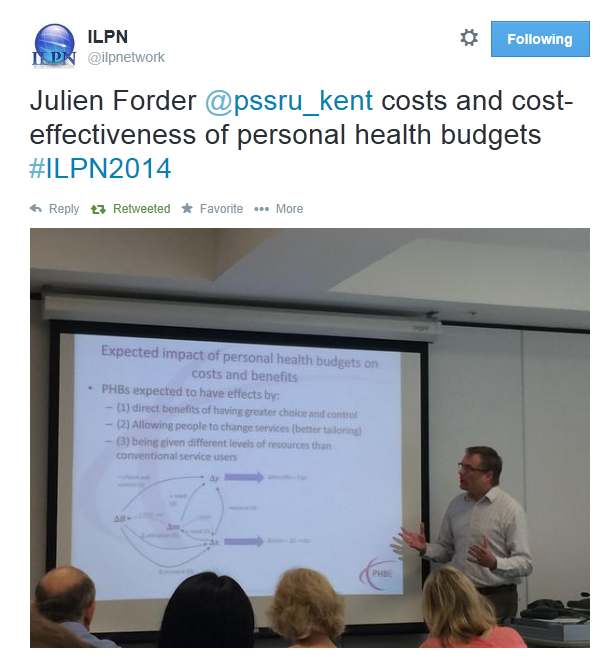 Julien Forder offered insights into the costs and cost-effectiveness of personal health budgets. Our conference presentations reached our Twitter audience too. Follow us @pssru_kent. 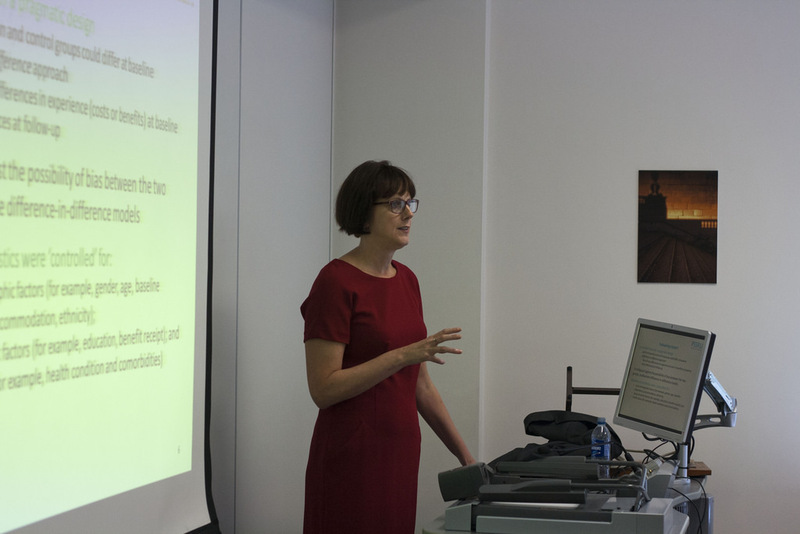 Karen Jones rounded off these series of presentations with an overview of the next steps for the evaluation of personal health budgets. Further information on these next steps can be found at our PHBE2 website. Disclaimer: This work is commissioned and funded by the Department of Health. The views expressed are those of the authors and may not reflect those of the funders.